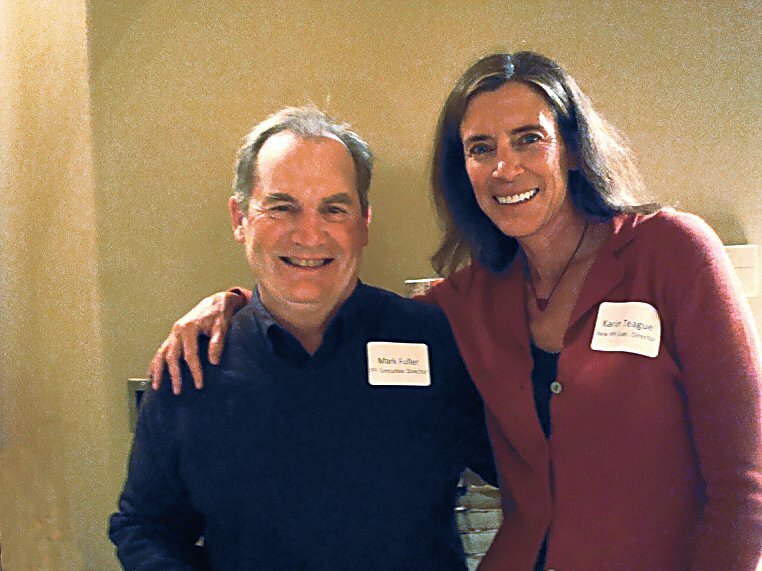 Mark Fuller stepped down as executive director of Independence Pass Foundation this spring after 19 years in the position. Karin Teague took the helm April 1. 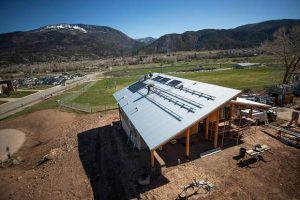 Independence Pass Foundation was founded in 1989 by the late Bob Lewis, a longtime Aspen environmentalist and educator. When the road was hacked out of the granite during the silver mining boom era of the 1870s and ’80s, environmental harmony wasn’t the highest priority. More than a century later, Lewis was concerned about the ecological impact — eroding soils above and below road cuts in some particularly vulnerable places, landscape scars and loss of vegetation. Lewis was determined to make amends for the work. He created the foundation and oversaw its first effort to repair what’s known as the Weller Cut, an area along Highway 82 near the Weller Campground. Parts of the project were pursued every other year from 1994 through 2014. The foundation would “build up its war chest” for a year, then pursue a project the following year, Fuller said. It spent $2.5 million on repairing the top cut landscape. 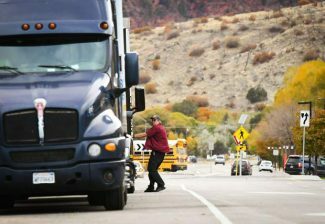 Partners such the Colorado Department of Transportation probably spent an equal amount, he said. The foundation has always drawn from a diverse pool of people to get the job done. Everyone from Aspen school kids to inmates of the Buena Vista Correctional Facility help with planting and landscaping work on the projects. People who don’t get their hands dirty still play a big role in the foundation’s efforts. Hundreds of skiers and bicycle riders participate in the nonprofit’s signature events — Ride for the Pass and Ski for the Pass. While the work on the top cut is the headliner, the foundation has a lengthy list of accomplishments. Last summer it spearheaded the reclamation of the area around the Upper Lost Man Trail, also known as the Linkins Lake Trail. A pull-off adjacent to the trailhead was a stockpile for rock and dirt that was used on the top cut work. The stockpile area was cleaned up. The organization’s operating budget was around $235,000 in 2013 and 2014. It will be about $196,000 this year. Special campaigns are held to raise funds for projects such as improvements to the winter closure gate area. Teague aims to keep the momentum going. 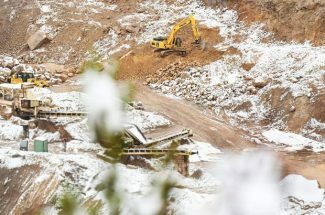 The foundation will work with the Forest Service, Colorado Department of Transportation and Pitkin County to undertake the first phase of a project to improve the appearance and usefulness of the winter closure gate area east of Aspen. “We should have an entrance worthy of that magnificent pass,” Teague said. There will be a kiosk with information about the pass and its environment. Parking will be better defined and the look that Fuller once described as “semi-industrial wasteland” featuring concrete barriers will be cleaned up. The foundation is also setting its sights on completing work atop the pass. “The summit is going to have to be dealt with,” Teague said. She ticked off its ills: Parking is a free-for-all; lack of a defined trails has led to braiding on the north of Highway 82; work on the trail south of the highway must be completed. Teague said “smarter and better defined parking” will be designated in the lot surrounding the bathrooms. A “peak finder” sign will be installed that shows the names and elevations of the big peaks visible at the summit. Interpretative signs about the ecology and history of the area will be erected. Fuller has been fortunate to have Independence Pass as his office five days or more per week from mid-summer into late fall. He is intimately familiar with the environment and believes it remains pretty healthy despite challenges such as climate change. He has anecdotal evidence of a warmer, drier climate — such as a lower success rate for planted vegetation compared to 20 years ago. But the diversity of trees and mix of vegetation has helped the pass avoid the bark beetle infestation that wiped out parts of lodgepole pine forests along Interstate 70 and in Grand County. “You’re not going to get acre after acre of dead vegetation,” Fuller said. On the other hand, the timber stands that exist are all of the same mature age and condition, which could make them susceptible to fire and disease. “In some respects, some fire would be good,” he said. Fuller’s adventures of the pass leave him in awe of its flora and fauna, and its rich human history. He once witnessed unparalleled beauty off the beaten track in a place he named Paradise Plateau and, not far from there, stumbled on a mining cabin abandoned in the 1950s with everything from bedding to silverware in place. 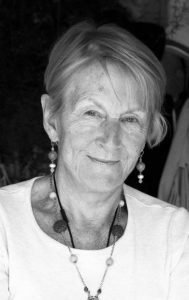 Independence Pass Foundation won’t be revealing Fuller’s secret stashes, but Teague said a goal of hers is to start more programs that do everything from teaching Aspen school kids about the pass’ history to guiding tours focused on wildflowers and birds. She’s excited about the possibilities of both the physical work still to come and the educational opportunities.